Cauliflower tacos are a delectable vegetarian meal that are full of robust flavors. 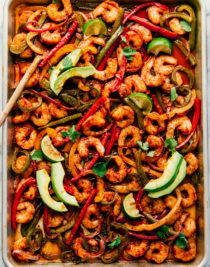 Perfect for any night of the week and will be loved by even the pickiest of eaters. 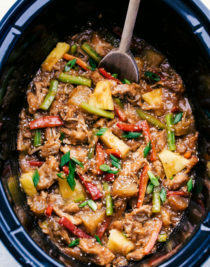 You can never go wrong with tacos, so you may want to make up some of these juicy slow cooker chicken carnitas, easy street tacos or baked chicken tacos for your next “taco Tuesday” or Cinco de Mayo party. 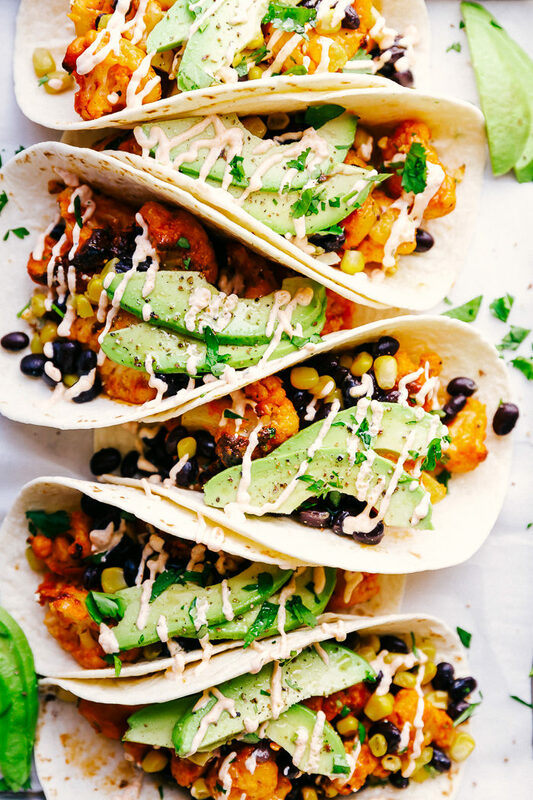 When you think of what type of tacos to make for your next “taco Tuesday” or are just looking for a change, these buffalo cauliflower tacos will be just what you need. 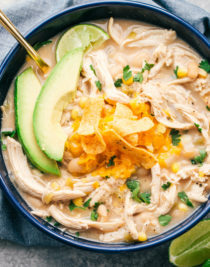 It all starts with roasted cauliflower in a robust buffalo sauce that has just the right amount of kick to it, which is then added to a warm soft taco shell and mixed with corn, black beans, avocado and Crema Mexicana, it will be in love at first bite. Cauliflower tacos don’t sacrifice on taste or texture and layering them with creamy avocado makes these vegetarian tacos one amazing finger food. 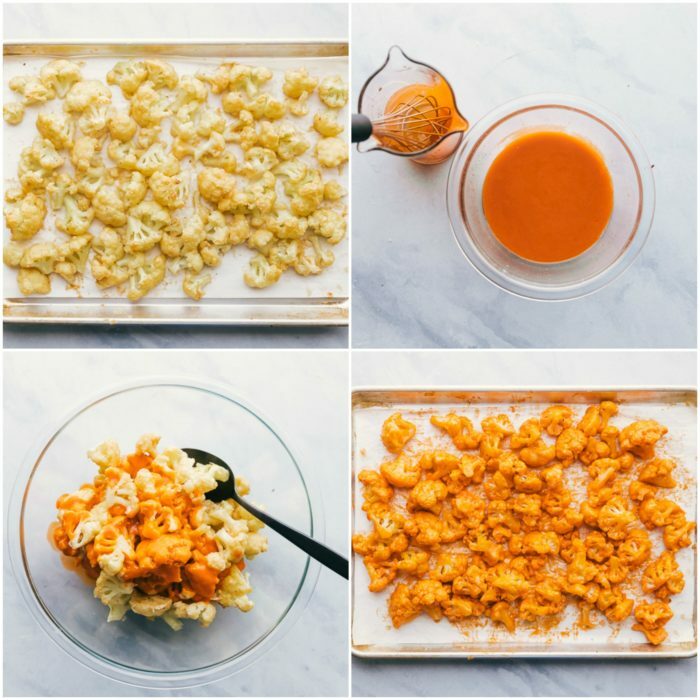 Prepare buffalo cauliflower Preheat oven to 425 degrees and line a sheet pan with parchment paper sprayed with non-cook cooking spray and set aside. 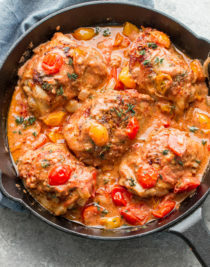 In a large bowl combine flour, garlic salt, pepper, onion powder and water. 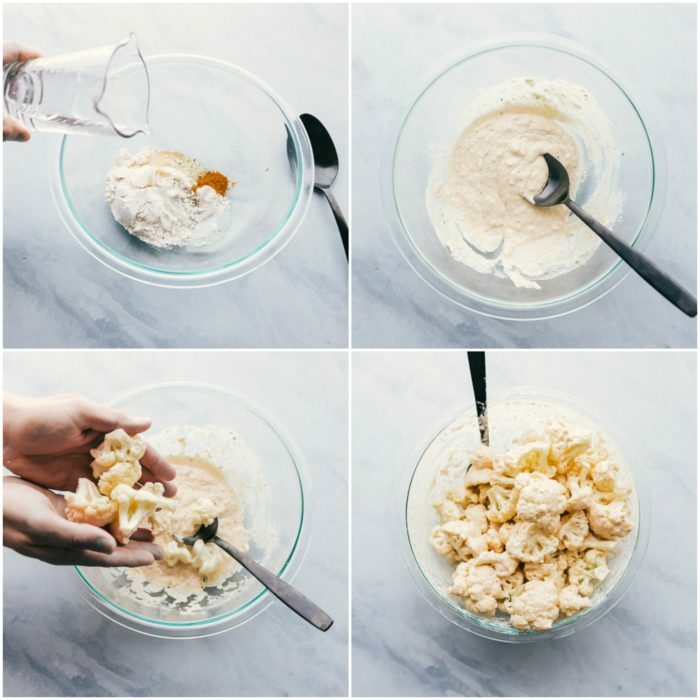 Mix and pour in 3 cups of cauliflower florets. In a large skillet cook beans and corn until heated through and hot. 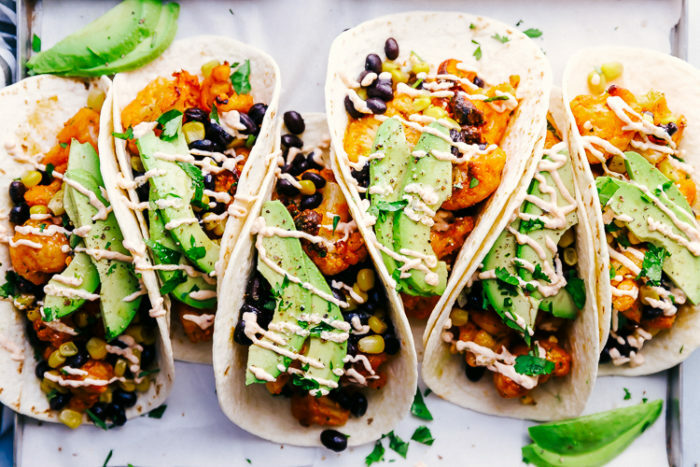 Place equal amounts of buffalo cauliflower in the middle of each flour tortilla and then top with beans, corn, sliced avocados and Crema Mexicana. 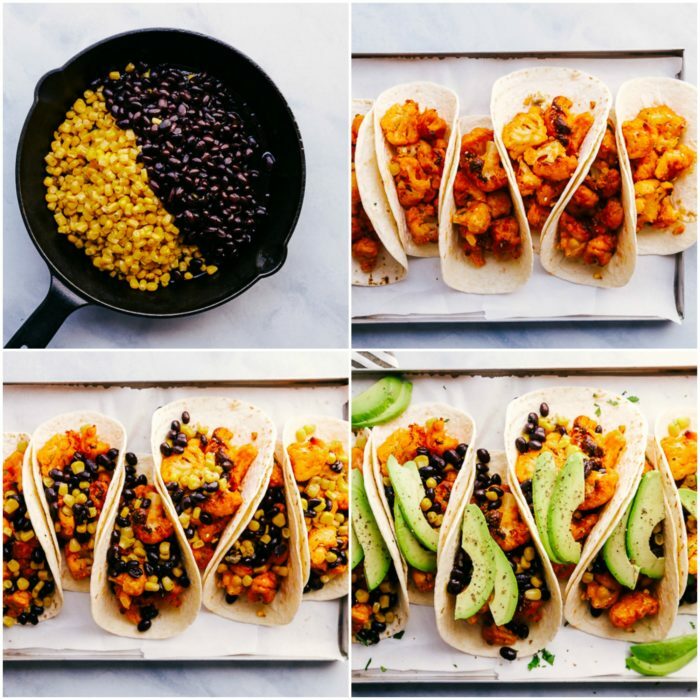 Cauliflower tacos are a great way to mix things up this Cinco de Mayo or when you are in the mood for a little fiery kick vegetarian style. 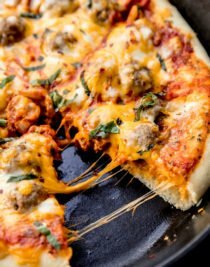 Cauliflower is an amazing vegetable in the fact that is has many nutrients and plant compounds that may help in reducing the risk of heart disease, cancer, and several other diseases. 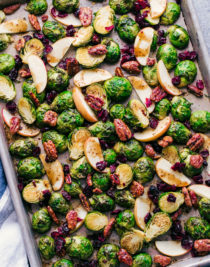 Yes, but it is a very low calorie, low carb vegetable perfect for those on a low carb or keto diet. 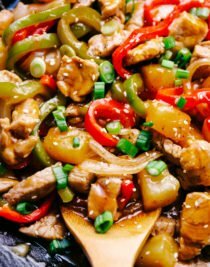 Cauliflower only has 2.9 grams of net carbs per one cup, therefore making it a great option for low carb meals. 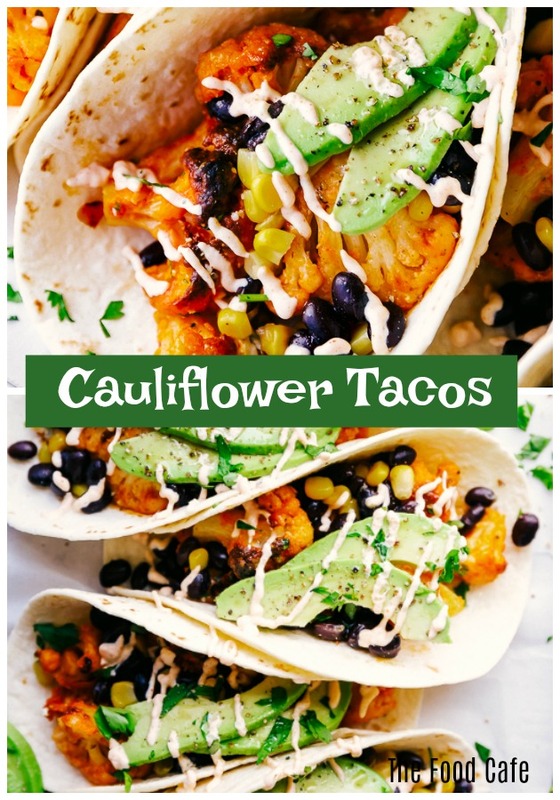 So wether you are celebrating Cinco de Mayo, looking for a low carb taco option, are vegetarian, or just want to change things up a bit, these cauliflower tacos will be sensational. 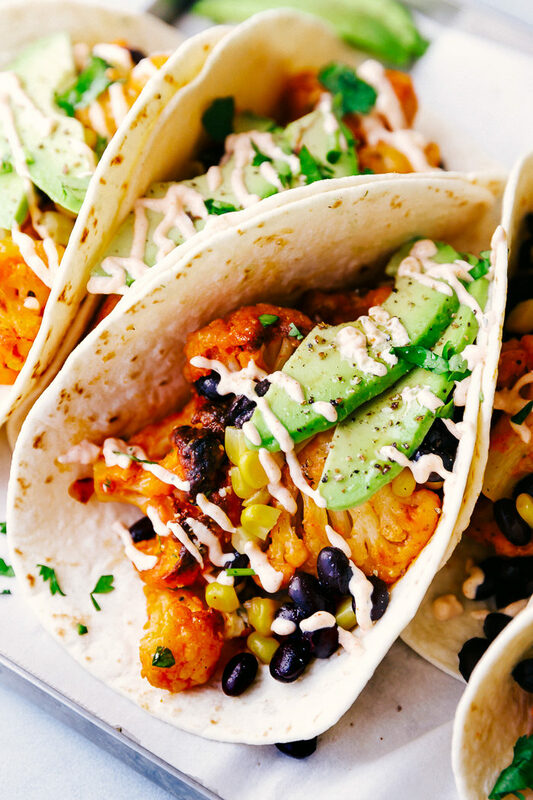 Cauliflower tacos are a delectable vegetarian meal that is full of robust flavors. 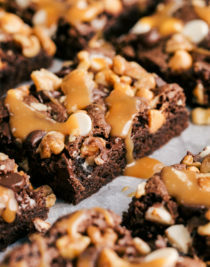 Perfect for any night of the week and be loved by even the pickiest of eaters. In a large skillet cook beans and corn until heated through and hot. 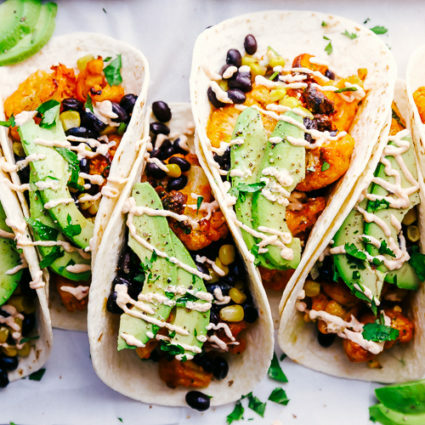 Place equal amounts of buffalo cauliflower in the middle of each flour tortilla and then top with beans, corn, sliced avocados and Crema Mexicana or sour cream.